Saviours’ Day 2017, the Crowning Event of Black History Month is returning to where it all started, Detroit, Mich. The annual Nation of Islam convention will be held in the “Motor City” Feb. 17-19 to commemorate the 140th birth anniversary of the Great Mahdi Master W. Fard Muhammad, teacher of the Most Honorable Elijah Muhammad. 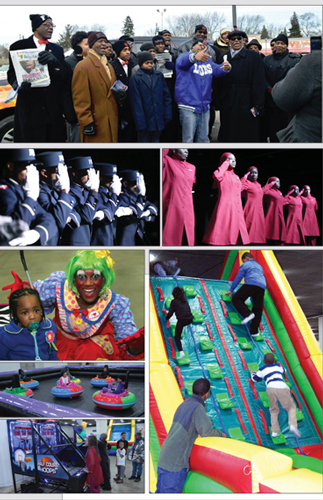 Themed, “The Ultimate Challenge: Survival of the Black Nation,” a full weekend of activities and events is scheduled and will take place at the Cobo Convention Center, located downtown on 1 Washington Blvd. 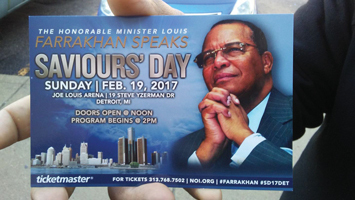 The culmination of Saviours’ Day will be the highly anticipated keynote message of instruction and divine guidance by the Honorable Minister Louis Farrakhan, titled, “Have No Fear For The Future: The Future is Ours!” at the Joe Louis Arena on 19 Steve Yzerman Dr., Sunday, Feb. 19. 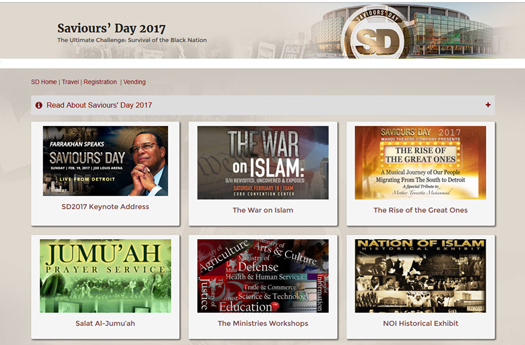 It is the third straight year and the fourth time in a decade, Saviours’ Day has been held in the city where the Nation of Islam in North America was founded in the early 1930s. It’s where Master W. Fard Muhammad began going door to door in an area of the city known as “Black Bottom” teaching Islam and the knowledge of self to Black men and women who are described in scriptures as a despised and rejected people to whom a saviour and redeemer would come to resurrect. The Believers of Muhammad Mosque No. 1 under the direction of Student Minister Troy Muhammad and the Laboring Staff are working diligently in preparation and anticipation of the thousands of Muslims, supporters, visitors and guests traveling from cities near and far to participate. It is an honor and privilege to host Saviours’ Day 2017, said Student Minister Troy Muhammad. “Just knowing the significance of being able to host the man of God is something very special and it is very important and the Believers are taking it very seriously. The city of Detroit of course is anxious based upon the election results, based upon some of the things that we’re seeing with the new administration in the White House. People are anxious to hear what the Minister will say, what his words will be,” said Student Minister Troy Muhammad. The Muslims are hard at work spreading the word about Saviours’ Day, distributing and posting fliers and several huge billboards promoting Min. Farrakhan’s keynote address are on prominent display throughout the city. The Fruit of Islam from the Central Region have traveled to Detroit over the past several weeks to assist in these efforts. Student Minister Troy Muhammad is busy conducting media interviews to spread the word and excitement is building. Local leaders including those in city and state government have been welcoming and supportive, he added. On Fri., Feb. 17 and Sat., Feb. 18, a variety of informative plenary sessions and interactive workshops structured around the theme and work of nation building in the Black community will take place. The opening plenary, “9 Ministries: Survival of the Black Nation” will be followed by several workshops over two days including: Disaster and Emergency Preparedness, Housing and Community Development, Bridging the Families, the Nation of Islam Student Association, Ministry of Agriculture, Ministry of Defense, Marriage and Family Life, Civic Participation, International Affairs and much more. 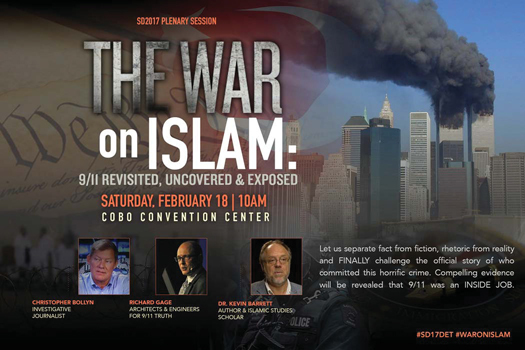 The second plenary, “The War on Islam: 9/11 Revisited, Uncovered & Exposed,” will explore and delve into the myriad of unanswered questions concerning the 2001 attack on U.S. soil. Was 9/11 really carried out by Islamic terrorists or was it an inside job of forces within the U.S. in collusion with intelligence agencies of the Israeli Mossad? It is critical that we take part in the convention workshops, said Student Minister Dr. Ava Muhammad, student national spokesperson for Min. Farrakhan and the Nation of Islam during a broadcast of her Elevated Places blog talk radio program. “When we say workshops, we’re not talking about seminars where you lecture the people. We want people engaged in activity that is empowering to the individual because no nation as the Minister has said, a nation can’t be better than people in it,” she said.